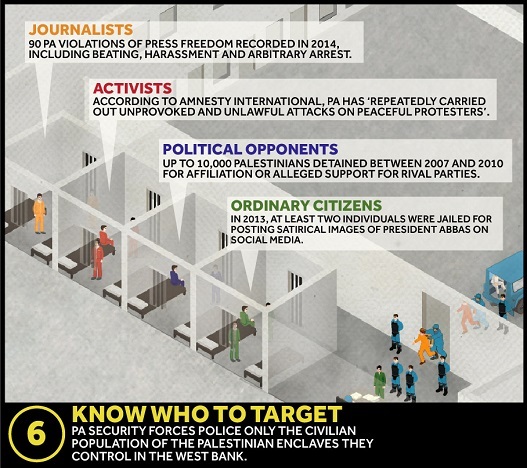 It was reported in the past week that Palestinian Authority (PA) paramilitary police have acted in coordination with Israeli authorities to arrest around 100 Palestinians since October. 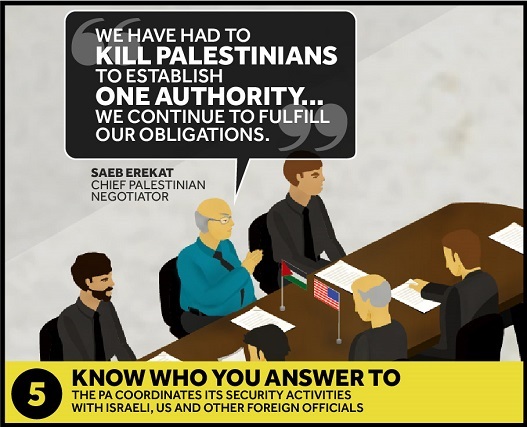 This won’t come as a surprise to seasoned Palestinian commentators, many of whom have long criticised “coordination” as a means of securing Israel’s occupation at the expense of Palestinian human rights. 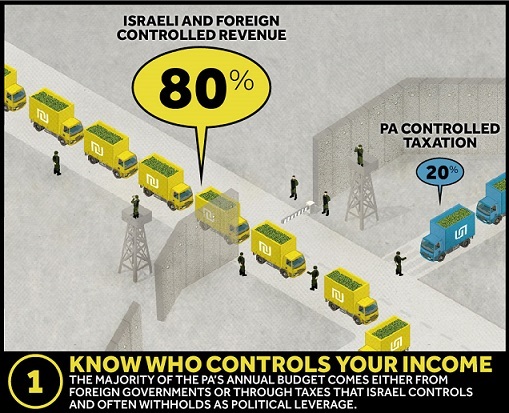 The PA is the West Bank’s largest employer, and around one third of its annual budget is allocated to ‘security and public order’ – more than health and education combined. 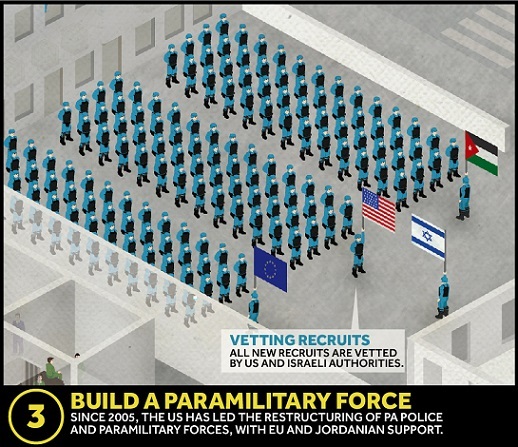 All new recruits are vetted by Israeli and US officials, and have been widely deployed to crack down on non-violent Palestinian civil society activities, while doing nothing to protect Palestinians from attacks by Israeli settlers or soldiers. Visualizing Palestine is the intersection of communication, social sciences, technology, design and urban studies for social justice. 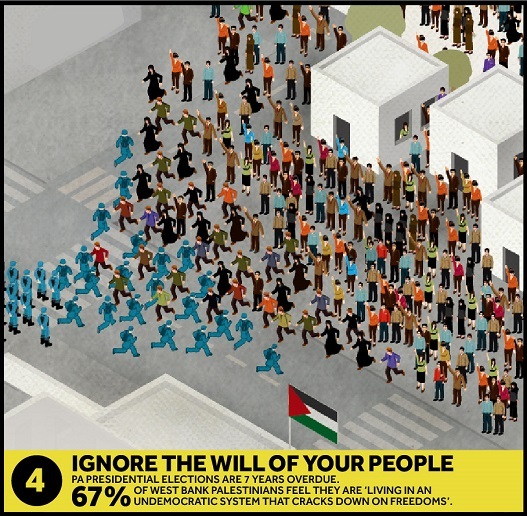 Visualizing Palestine uses creative visuals to describe a factual rights-based narrative of Palestine/Israel. 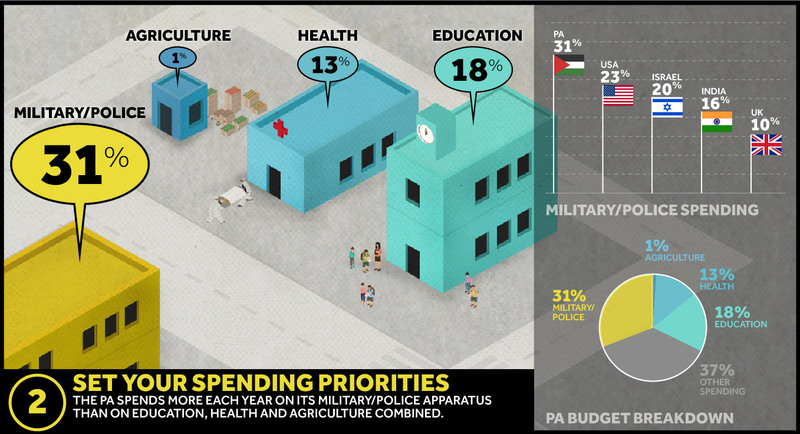 Read other articles by Visualizing Palestine, or visit Visualizing Palestine's website. 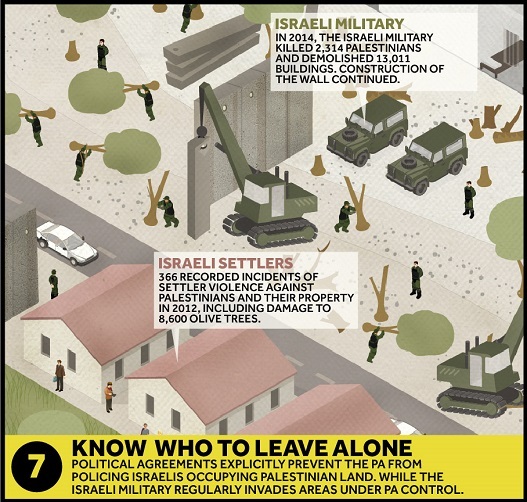 This article was posted on Tuesday, January 26th, 2016 at 3:40pm and is filed under Israel/Palestine.